Writing Teacher Sean Murphy holds an MFA in Writing from the Naropa Institute, and teaches seminars in writing, meditation, and creativity for many organizations, including his own Big Sky Writing Workshops and the University of New Mexico in Taos. 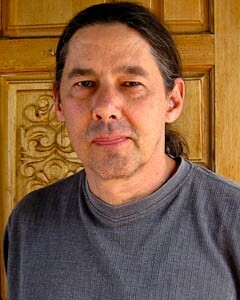 He is the author of One Bird, One Stone, a chronicle of Zen practice in America, as well as three novels. His debut, The Hope Valley Hubcap King, won the Hemingway Award for a First Novel. Sean has been a practitioner of Zen Buddhism for more than 20 years.